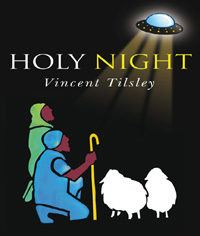 Attendees of the recent April 2009 Prisoner Mind Mash will have heard special guest Vincent Tilsley ("Chimes" and "Do Not Forsake" writer) speak of his new book, "Holy Night". TUW is delighted to say that the book now has a confirmed publishing date of July 31st 2009, and the book will be available from Amazon from that date (use the search box HERE to find it and a % of the sale will be donated to charity). Vincent has also kindly provided the preface & endorsements to his book to the site HERE. With thanks to Vincent Tilsley and Leslie Glen for this news item.